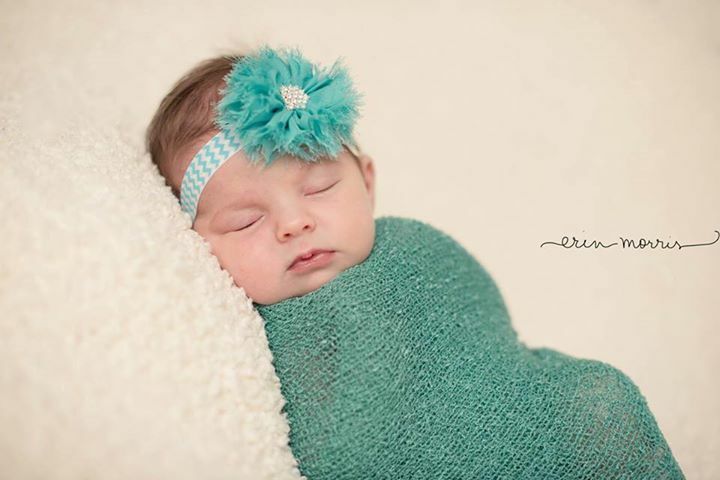 I am so excited today to be sharing this giveaway from Livi's Loops. 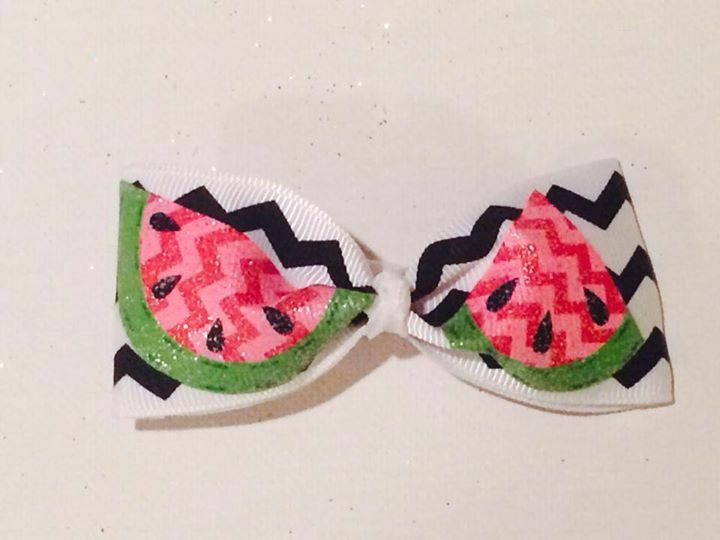 How cute are these bows?? Gigi would LOVE these. 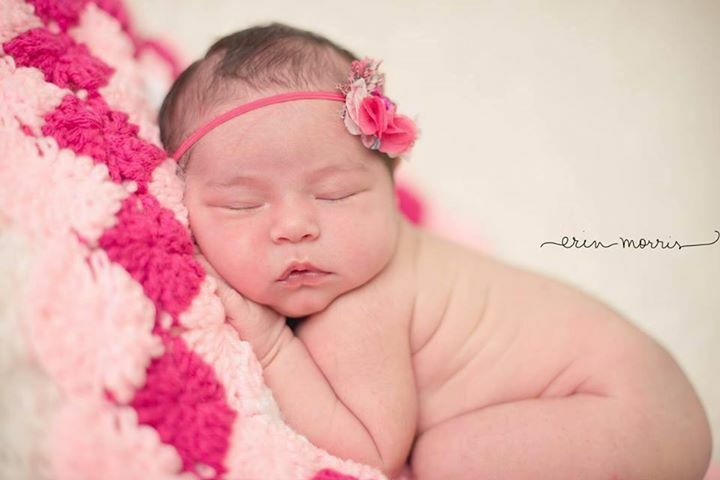 Annemarie of Livi's Loops started out making bows for her daughter, Aliviana, after she left teaching second grade to became a stay-at-home-Mom. She loved hair bows but couldn't find many cute ones. Annemarie and her friends would have bow making play dates and swap materials. 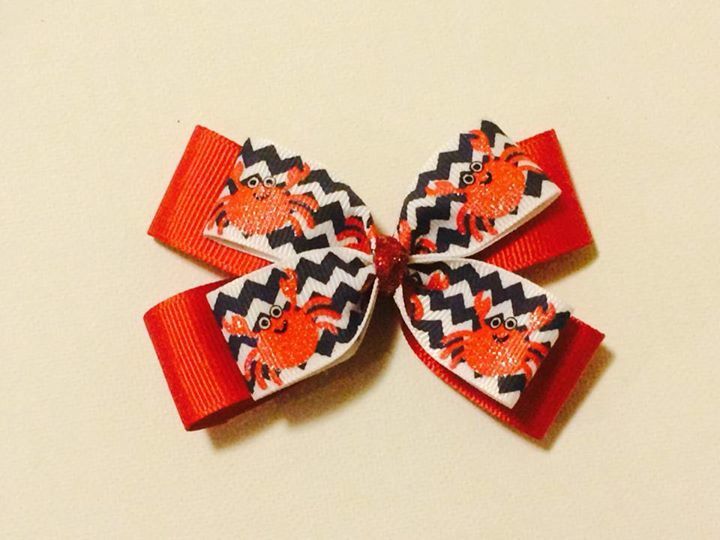 Her friends started asking to buy her bows and encouraged her to start a business. 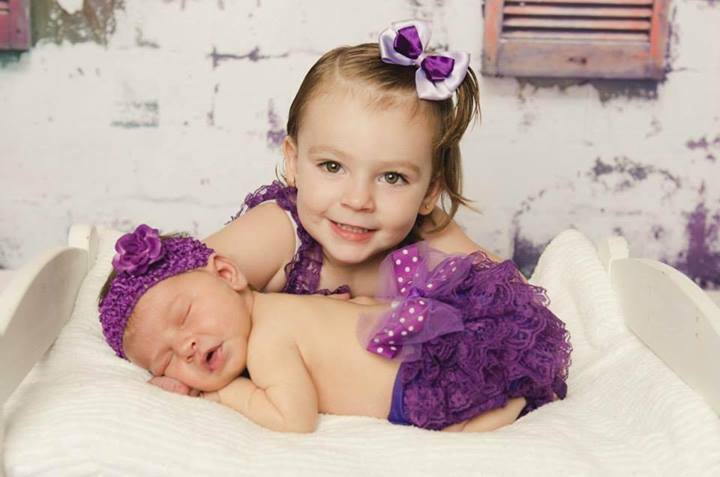 She held her first bow sale on Zulily in September 2012. Soon after, she she started to sell her bows at craft fairs while selling online at Zulily, Amazon, and Keekoo. Her inventory has expanded to include bows, headbands, clippies, bow boards, and bow hangers! 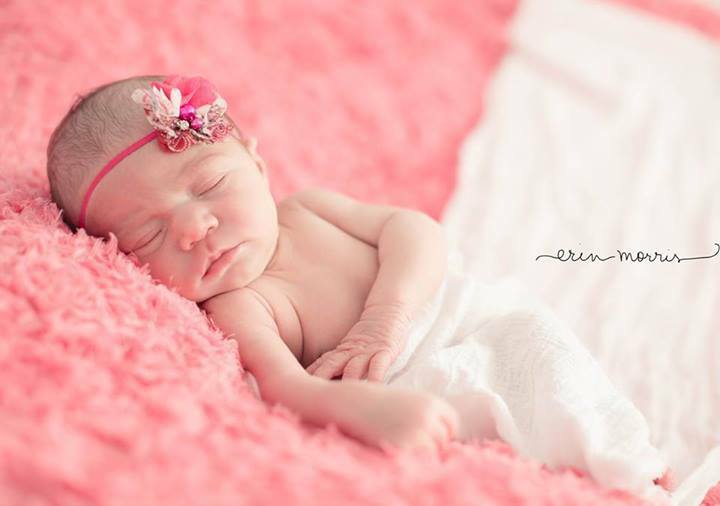 Just like many stay-at-home Moms she spends naptimes and late nights hand-crafting her bows. 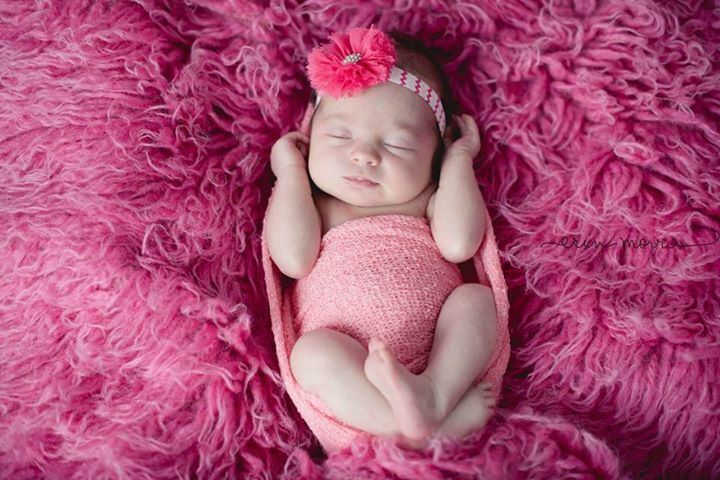 Annemarie was blessed with a second beautiful daughter, Emmalyn, in August 2013. Now she has fun putting her daughters in matching bows. 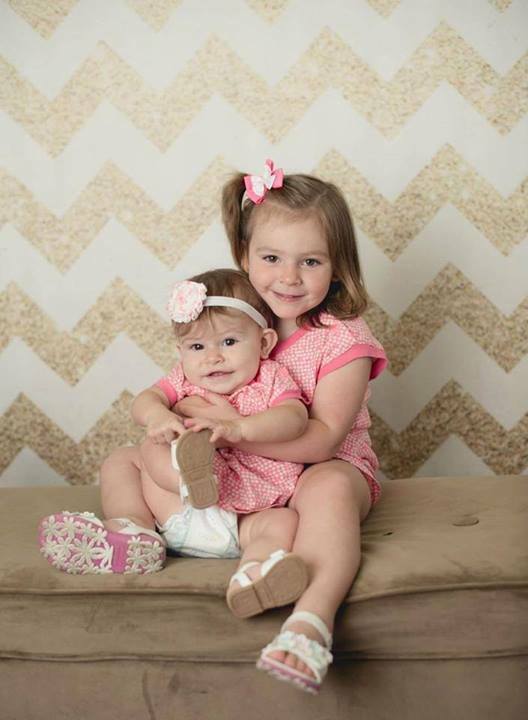 Seriously, could they be any cuter? 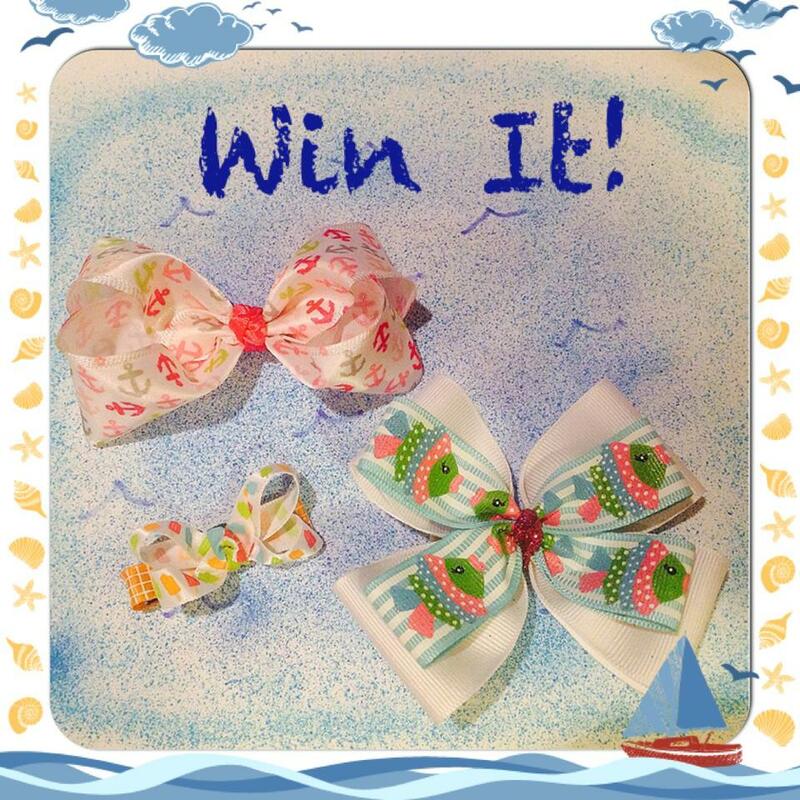 So now is your chance to win the 3 summer-inspired bows below. I was so excited to find out that they can all be clipped onto a headband, too! 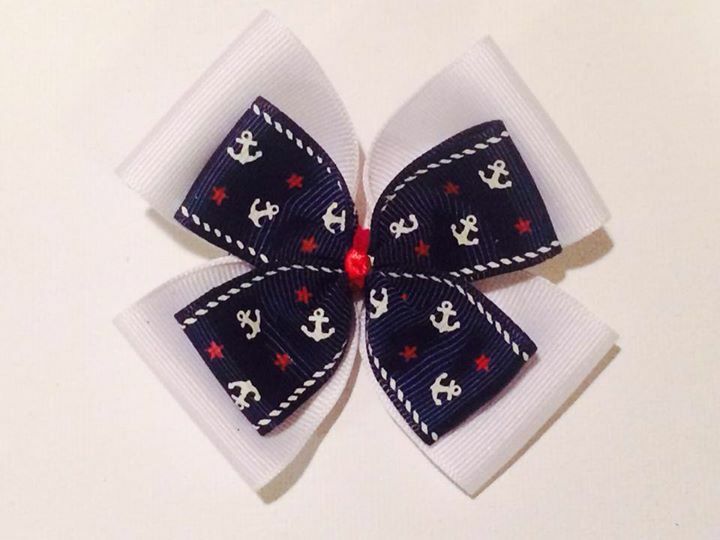 The bows make the perfect gift for the little lady in your life. As Annemarie says, you can never have too many bows! 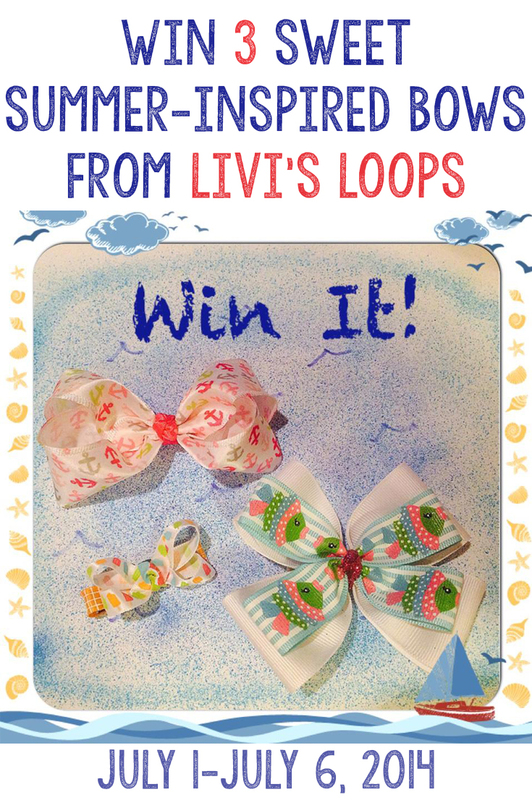 Don't forget to visit Livi's Loops Facebook page, here! Email livisloops@yahoo.com to be added to the newsletter. Here are some more of her adorable bows. 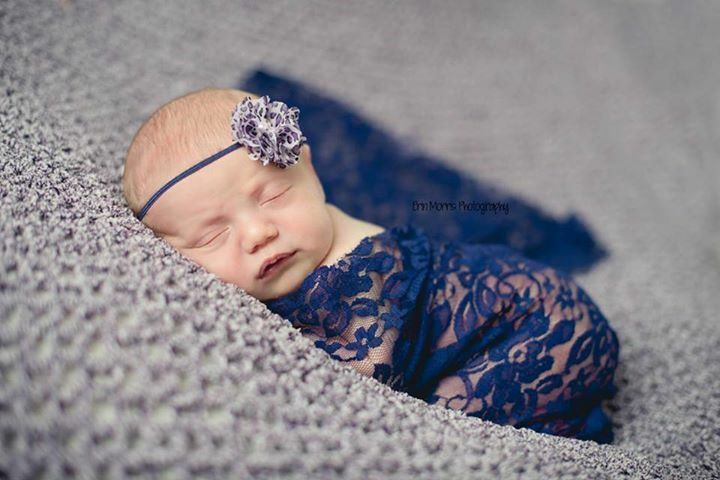 The beautiful pictures of the sweet little newborns were taken by Erin Morris. If you live in the Maryland area, she's a wonderful photographer (babies, kids, families, engagements, etc.). 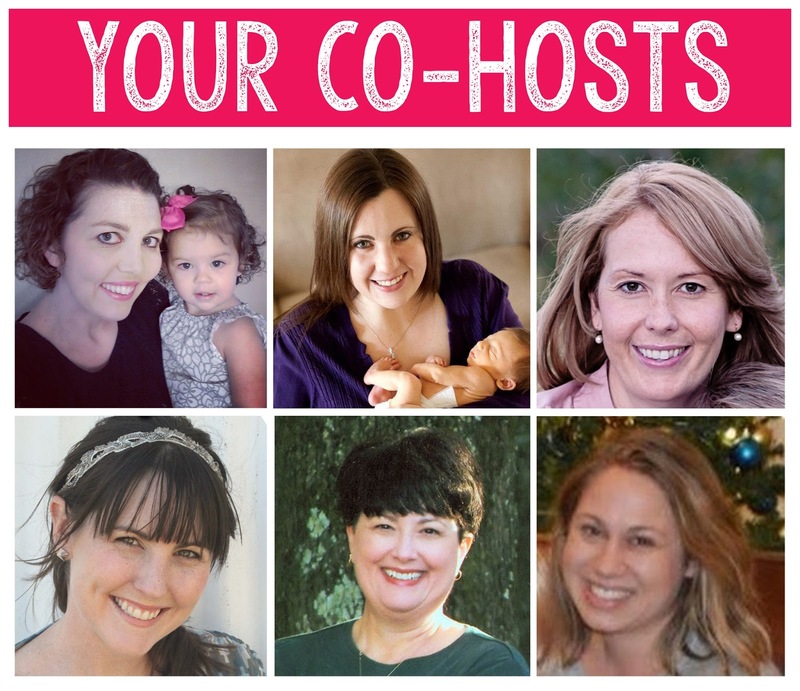 We have rounded up a wonderful group of Bloggers to share this giveaway with you. 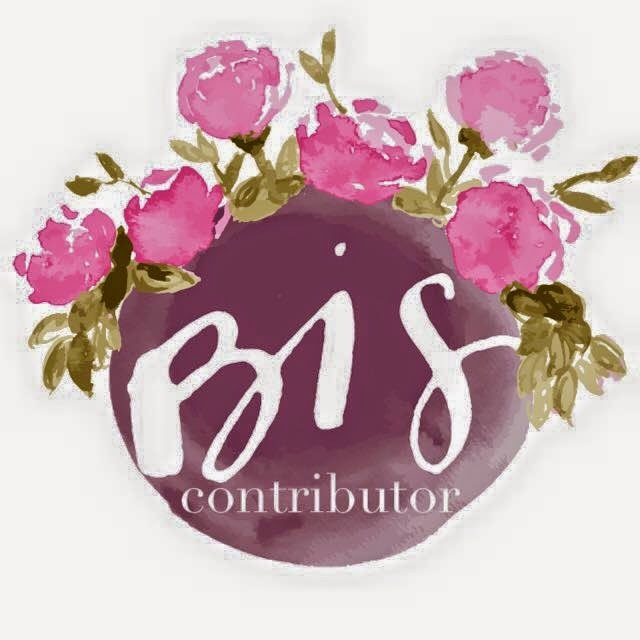 Stop by and give their blogs some love! Like Livi’s Loops and all of the co-hosts on Facebook. This is a requirement to enter (if you don’t like one of the pages, you will not be entered into the giveaway. Make sure to hit submit after you Like each page (same if you are already a follower). For additional entries, complete any of the remaining tasks. They are not a requirement to enter – just bonus entries! Your bows are so cute!! I've got a 5 month old Daughter Mekenzie so Im a big fan of bows and headbands!! Would love to win some of yours!